Research has shown that the proper design and effective use of the built environment can lead to a reduction in both the opportunity for crime and fear of crime. Through their involvement in design and construction, architects, planners and builders can influence the creation of safer neighbourhoods and communities. This program provides a general overview of Crime Prevention Through Environmental Design (CPTED) for professionals who work in urban design development and related areas. It is not meant to be an exhaustive analysis or a checklist. CPTED is an approach to planning and development that reduces opportunities for crime. Communities, neighbourhoods, individual homes, and other buildings, streets, and parks can all be made safer through the application of design principles that make it more difficult to carry out inappropriate activities. What is the role of CPTED? CPTED is part of a comprehensive approach to crime prevention. By emphasizing modifications to the physical environment, it complements community-based policing, that address some of the root causes of criminal behaviour. 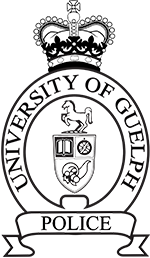 For more information on CPTED related security strategies, contact Pat Martin pmartin@police.uoguelph.ca, Manager of Campus Community Police.